Voice-activated devices have been around for a while, they're in our cars and our phones. What has changed in the last few years, however, is that a new breed of software applications that utilize voice activation to trigger interaction and response have been introduced to the consumer market and are coming into our homes. Amazon's Alexa. Google's Hey Google. Apple's Siri. Software companies are developing more and more sophisticated programs that mimic human-like behavior, also known as artificial intelligence or AI. They make life easier for many, and with the proliferation of mobile devices and now home-based devices, AI is becoming an integral part of everything we do. For example, let's take Alexa, Amazon’s cloud-based voice service. You can talk to Amazon Alexa on a variety of products, such as the Amazon Tap or the Amazon Echo. With Alexa, you can ask to play music, hear the news, check weather, control smart home devices, and more. Alexa lives in the cloud, so it’s always getting smarter, adding new capabilities that are delivered to your device automatically. Using Alexa is simple and hands-free—just ask, and Alexa will respond instantly. Alexa provides a set of built-in capabilities, referred to as skills. For example, Alexa's abilities include playing music from multiple providers, answering questions, providing weather forecasts, and querying Wikipedia. What most people are not aware of is that Alexa can be customized using Amazon's software development kit or SDK referred to as their "Alexa Skills Kit SDK." Alexa uses programmable skills where a developer can design a voice service that delivers customized information. That's what Brewster Ambulance has done. Brewster is in the process of helping EMS clinicians inside the ambulance with Amazon Alexa. In Massachusetts, where Brewster Ambulance Service is licensed, the Department of Public Health's Office of Emergency Medical Services publishes protocol documents every year. Every first responder, EMT, advanced EMT (AEMT) and paramedic must know these protocols in order to medically treat patients and dispense pharmacology. Reading through this material is required for certification at any EMS professional level, however, memorizing every single protocol can be a challenge for any responder. This is where Alexa comes in. Brewster Ambulance hired a software firm to program a custom skill to be used with Alexa in their wifi-enabled ambulances. The firm is building a repository of information that includes the state's EMS protocols as well as a dictionary of common terms. This includes everything from spelling out medical acronyms for chronic diseases or treatments to making sure dosages are correct for every pharmacology application. Early on in the project's feasibility study, Brewster approached the Massachusetts OEMS regulators to verify that using Alexa to deliver protocols would be permissible. The state's position was that since the software was basically taking the protocol text and converting it to speech that it was acceptable in practice and approved the application. Currently, medics in the ambulance have to rely on their training, experience and refreshing themselves manually with the training resources (both digital education programs and through team support) provided by Brewster Ambulance Service to keep their skills and knowledge sharp. In the near future, with Alexa's help, they'll have another resource to tap while treating a patient. The software developers are taking the protocols documentation, which is organized in a specific flow pattern. For each specific patient condition, the protocol starts from the top and graduates to the bottom with level of provider. For example, the top starts with the lowest level provider, such as the Basic Life Support level. Therefore, if it's a paramedic, they'll be responsible for everything above their area of paramedic and the paramedic protocols. This is beneficial if you are a lower level provider accessing this, it's going to switch over to the next level and prompt that it's for the next level, such as a paramedic, and therefore covers all of the bases from start to finish. The protocol flow being hierarchical in nature may lengthen the delivery of information to the medic, however, the benefit of the protocol is that it acts like an audible checklist for the medic as they are treating the patient. If something is missed or still pending, that's going to be another trigger for the clinician to perform a procedure they may have inadvertently skipped or not completed. The primary reason for Brewster Ambulance Service to integrate Alexa Voice Service as a clinical support tool is no different than any other piece of valuable clinical equipment or medicine onboard the ambulance: to enable the clinician to focus 100% on patient care. The more valuable benefit of this application of Alexa is the ongoing skills improvement and retention of protocols by Brewster Ambulance Service EMS professionals. While en route to a call, the paramedics can refresh protocol procedures based on the dispatched information about the patient. For example, if they know they are dispatched to a burn victim, they can ask Alexa, "Alexa, what is the protocol for burns," which is in section 4.1, Trauma Protocols, of the state's document. Alexa will read through the protocols so when they arrive on scene, they have been refreshed and have the exact equipment with them as they rush to the patient. The protocols can also be accessed by the team during downtime when not en route to a patient call for additional refreshing and training of medics. 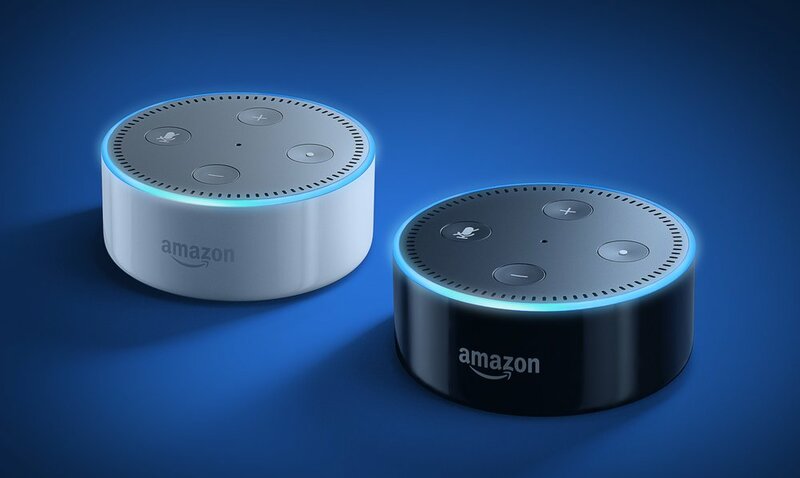 Brewster is evaluating other applications for Alexa Voice Service technology to improve communications, patient safety, clinical care and dispatch accuracy. This artificial intelligence is adding a layer of safety and accuracy that is helping Brewster continue improving EMS delivery.